The professional's bound book. 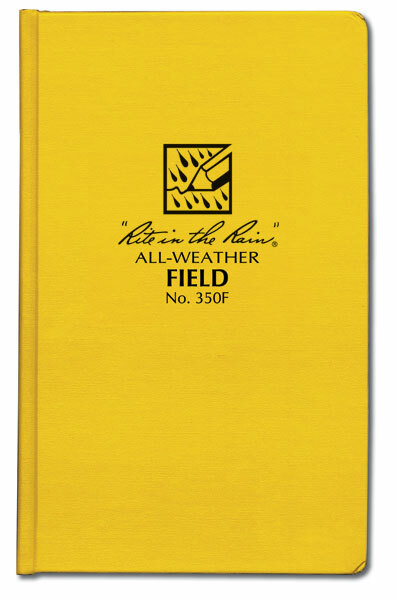 This is the only bound book manufactured with true outdoor durable components. The cover, the paper, the sewn-in pages, even the glue is designed to survive. Fab (Fabrikoid) - The Fabrikoid cover material is the classic case bound filed book cover. Tough. rigid, and extremely durable. Poly (Polydura) - Polydura covers are a smooth plastic material made with post-consumer waste. They are virtually indestructible. 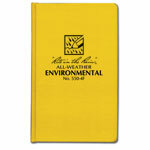 Polydura covered books have 160 pages (80 sheets) including a title and contents page. Size: 4 3/4" x 7 1/2". 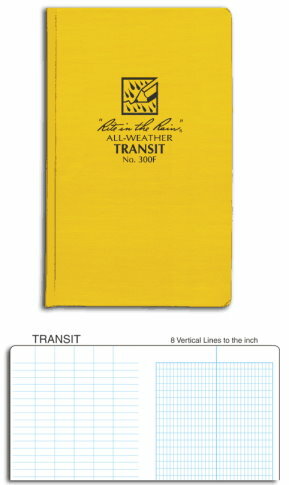 Page patterns available: Transit, Level, Field, and Journal. Meets requirements for legal defensibility; pages are numbered and book is sewn bound. Referencing valuable data in your book just got easier with these numbered page books. They are the same size as the Standard Bound Books, and meet E.P.A. field book requirements for legal defensibility. Books have 160 consecutively numbered pages (80 sheets). Cover available in Fabrikoid only. Size: 4 3/4" x 7 1/2". Page pattern is Journal. 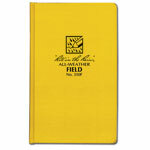 Our numbered page, sewn bound books meet U.S. E.P.A. Guidelines and are legally defensible in case of litigation. 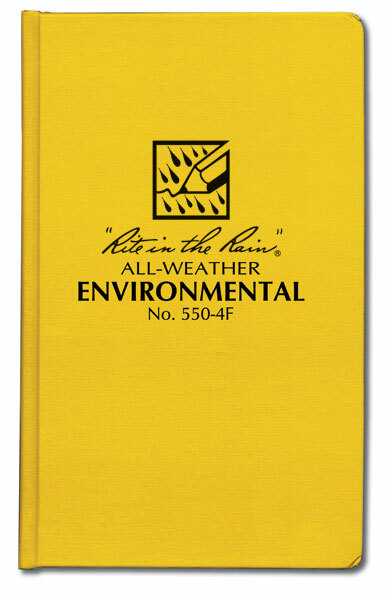 They contain 10 helpful environmental reference pages. 160 pages (80 sheets ). 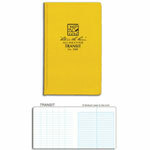 4 1/4" x 6 3/4" pocket version has 76 pages (38 sheets), perfect for single jobs.